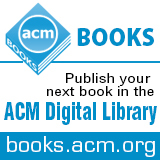 Welcome to the April 21, 2014 edition of ACM TechNews, providing timely information for IT professionals three times a week. A group of academics and computer enthusiasts have used $2.8 million from the U.S. State Department to help the Tunisian town of Sayada become a test site for a local network that is physically independent from the Internet and comprised of antennas scattered about on rooftops. This mesh network is designed so dissidents abroad can communicate without fear of surveillance. The mesh software is a redesign of systems that experts across Europe have been running for years, says the New America Foundation's Sascha Meinrath. Inexpensive wireless routers are affixed to rooftops, tied to balconies, and screwed to the ledges of apartment buildings. Provided each router has an unhindered view of one or two others and the mesh software has been set up, the routers automatically form a mesh network, says New American Foundation analyst Ryan Gerety. The routers also can supply access to anyone with a wireless device in range. The Radio Free Asia nonprofit has contributed $1 million to investigate multiple overseas mesh network deployments. Meanwhile, Harvard University professor Jonathan Zittrain says the proven resiliency of mesh networks could be their biggest selling point, with privacy being a bonus. Researchers at Google and the U.S. National Aeronautics and Space Administration (NASA) are working on Project Tango, a scheme to integrate Google's new three-dimensional (3D) technology, called Synchronized Position, Hold, Engage, Reorient, Experimental Satellites (SPHERES), into a robotic platform that will work inside the space station. The technology is scheduled to launch to the orbiting station this summer. "The 3D-tracking and mapping capabilities of Project Tango would allow Spheres to reconstruct a 3D-map of the space station and, for the first time in history, enable autonomous navigation of a floating robotic platform 230 miles above the surface of the earth," according to Google. The Project Tango researchers are also working to develop an Android phone with sensors and chips that enable it to map indoor spaces in three dimensions. "Our goal is to give mobile devices a human-scale understanding of space and motion," says Project Tango leader Johnny Lee. NASA researchers want to upgrade the smartphones used to power three free-flying robots on the space station. Each robot is self-contained, with power, propulsion, computing, and navigation equipment, as well as expansion ports for additional sensors and appendages. University of Sheffield engineers have found a way to get a large number of robots to cluster together and execute tasks without using any memory or processing power. The ingenuity of their approach lies in its simplicity, because the robots have no memory, do not need to perform any calculations, and require very little information about the environment. Each robot uses one sensor that tells it whether or not it can perceive another robot in front of it, and will either rotate on the spot or move around in a circle until it can see one. The team in the Sheffield Center for Robotics programmed a group of 40 robots to perform a clustering task, but a computer simulation has shown the approach would work with thousands of robots. Even if the information perceived by the robots gets partially corrupted, the majority would be able to work together to complete a task. The researchers say such robots could be used to monitor pollution levels or perform tasks in areas that are hazardous for humans. University of Wisconsin professor Mark Hill is working to make computers more efficient by finding hidden efficiencies in their architecture, an increasingly necessary focus for computer engineers as Moore's law approaches its practical limits. The performance of computer tasks is one area of concentration, and Hill times such tasks to determine overall speed and the duration of each individual step. He was successfully able to use paging selectively through utilization of a simpler address translation method for certain components of important applications. Cache misses were thus reduced to less than 1 percent, and such a solution would enable a user to do more with the same framework, shrinking their server requirements and saving money. "A small change to the operating system and hardware can bring big benefits," Hill observes. He advocates a more unified approach, and he believes the slowdown in Moore's law can be countered by sufficient numbers of hidden inefficiencies. "I think we're going to wring out a lot of inefficiencies and still get gains," Hill says. "They're not going to be like the large ones that you've seen before, but I hope that they're sufficient that we can still enable new creations, which is really what this is about." The French National Center for Scientific Research's Xiaoping Che and Stephane Maag have achieved the intersection of protocol conformance and performance testing in one formal approach and successfully applied it on Extensible Messaging and Presence Protocol (XMPP). XMPP has garnered interest as a communication protocol in the Internet of Things (IoT), and the challenge of formally testing the protocol in a wireless environment is gaining momentum. Che and Maag's work proposes a passive distributed testing strategy that assesses both the conformance and the performance of XMPP in an IoT environment, based on the formal testing technique. The initiative focuses on formally testing functional and nonfunctional properties in the absence of formal models. The research defines formalism to particularize XMPP's conformance and performance needs represented as formulas tested on real protocol traces. Horn clauses-based syntax is used to express traits that are checked on extracted traces. Because several protocol requirements should be tested on different wireless entities, a distributed framework is designed for evaluating the approach on runtime wireless network execution traces. The technique has been deployed within a distributed framework that makes it possible to test individual network nodes, and the subtesters and global monitor are able to intuitively mirror the current conformance and performance requirements conditions. University of Iowa researchers and colleagues at New York University (NYU) report they have successfully accomplished information transduction between a magnet and an organic light-emitting diode at room temperature. The transfer and conversion of information occurred without electrical current flow between the magnet and the organic device. The researchers say their approach offers an efficient means of converting information encoded in magnetic storage to light in a plastic computing device. The research could be a key step in the development of inexpensive computers, cellphones, and other systems that use flexible plastic for silicon chips. "The magnetic fields from the magnetic storage device directly modify the light emission from the device," says Iowa professor Markus Wohlgenannt. "This could help solve problems of storage and communication for new types of inexpensive, low-power computers based on conducting plastics." NYU professor Andrew Kent observes that although these studies were carried out on relatively large devices, miniaturized devices would operate on the same principles and enable new types of high capacity storage technologies. Google has developed an algorithm that can generate photographic images with a depth of field quality similar to pictures taken by a single lens reflex (SLR) camera. Google says the Lens Blur app bundled in the Android-based Google Camera app can simulate a larger camera lens and aperture by capturing a series of frames when shooting a picture. The app then uses algorithms to produce a three-dimensional model of the objects in the photo, which can be employed to create depth within the image. Google's Carlos Hernandez says the software does more than blur a few areas of the picture. He notes there are several distinct algorithms in operation when snapping pictures with Lens Blur, including estimating the camera's position, the objects in the photo, and then triangulating other variables. He says the software gives foreground objects a crispness and the background a blurriness typical of SLR camera shots. LogAnalysis software developed by Indiana University researchers has been used to tap metadata from phones to map links between a criminal network in Sicily, enabling the police to determine who was involved, their collaborators, and even what role they may have played in crimes. The researchers take suspects' phone records and feed the information into LogAnalysis. One person's data is sufficient for plotting out a viable map of their place within the network, while partners and leaders are identified by statistical algorithms. Among the rules of thumb the researchers have outlined via their analyses is that lower-level lackeys send many short calls and texts at the time a crime occurs, while higher-ups tend not to receive too many calls, although they will frequently take one right after the commission of a crime. Indiana University's Emilio Ferrara notes that unlike the data-sifting methods employed by the U.S. National Security Agency, LogAnalysis "works on a small scale, focused on the analysis of small circles around these suspects." Ferrara thinks a future LogAnalysis iteration might predict the likelihood of crimes such as robberies, or determine if a law-abiding person with a connection to a criminal network is likely to eventually commit a crime. Researchers in Japan have developed a system that can map escape routes for disasters based on the behavior of ant colonies. The system is designed to provide maps for the shortest routes to shelters and regular updates of current situations via the smartphones of emergency workers and those caught up in the disaster. Daido University's Koichi Asakura and the Nagoya Industrial Science Research Institute's Toyohide Watanabe have carried out successful simulations of the construction of navigational maps using the approach. Smartphones serve as networked, mobile sensors that can feed information back to emergency centers. The data from myriad smartphones is analyzed with the researchers' understanding of the behavior of an ant colony in mind. The use of phones' Global Positioning System and other tools to build active navigational maps is similar to the way ants use pheromone trails to assess how recently colony members left particular signals to find optimal routes to and from the nest via food supplies. The next step is to build an ad hoc mobile networking system so evacuees can access the active maps. Johns Hopkins University (JHU) researchers have found a flaw in the way secure cloud storage companies protect their customers' data, which could jeopardize the privacy protections they offer. Whenever customers share their confidential files, the storage provider could exploit the security flaw to secretly view private data, according to the researchers. They focused on the secure cloud storage providers that house or back up sensitive information about intellectual property, finances, employees, and customers. "Whenever data is shared with another recipient through the cloud storage service, the providers are able to access their customers' files and other data," says JHU doctoral student and lead researcher Duane C. Wilson. Privacy during file sharing is normally preserved by the use of a trusted third party, and when the authentication process is finished, the third party issues "keys" that can unscramble and then re-encode the data to restore its confidentiality. "As a result, whenever data is shared with another user or group of users, the storage service could perform a man-in-the-middle attack by pretending to be another user or group member," Wilson says. The researchers recommend the agreements between customers and secure storage providers be changed so an independent third party serves as the file-sharing "middle man" instead of the storage company itself. Georgia Institute of Technology electrical engineers have published a "roadmap" describing how to construct a practical neuromorphic computer using analog computing methods. A digital neuromorphic computer would need tens of thousands of chips and possibly more than 100,000 watts of electricity, which is beyond practical limits. The analog approach would consume far less electricity than traditional digital computing and resolve the cooling and cost issues hindering the practicality of neuromorphic hardware systems. Georgia Tech professor Jennifer Hasler says a configurable analog-digital system should have up to 10,000 times greater power efficiency than an all-digital system. Hasler and former student Bo Marr tap an approach in which silicon-based analog integrated circuits assume many digital circuits' functions through rapid reconfiguration. The technique involves field-programmable analog arrays, which can be reconfigured after fabrication. Major hindrances to neuromorphic computing have been communication issues involved in networking integrated circuits in ways that could reproduce human cognition, and Hasler and Marr stress local interconnectivity as a complexity-reducing measure. They also say these capabilities can be achieved through purely silicon-based methods, removing the reliance on novel devices based on other approaches. Researchers at the University of the Basque Country, the Donostia International Physics Center, and the French National Center for Scientific Research say they have advanced the comprehension of electric contacts in future carbon-based nanoelectronics with a breakthrough development. The researchers employed a prototype carbon-based molecule composed of 60 carbon atoms configured in a sphere that can be viewed as a graphene sheet rolled into a tiny ball. This molecule was attached to the tip of the metal needle of a scanning tunneling microscope, which was then carefully brought into the proximity of individual metallic atoms of different chemical nature, forming a strong connection. By measuring the electrical current passing through these connections, the researchers determined which of the individual metallic atoms is most efficiently injecting charges to the molecule. Computer models demonstrated the links' electrical and mechanical traits are common for much larger carbon-based materials. The researchers say their work provides a foundation for uncovering extremely efficient contacts in the near future. The study clears a path to investigating a multitude of distinct metallic species, allowing for a systematic classification of their properties for injecting electrons into emerging carbon-based electronic devices.